Oh, the city of lights. For centuries, Paris has enticed poets, artists, and lovers with its cobbled streets, cafe culture, and romantic views. Our love affair with the city runs deep, and we’ve rounded up some of our favorite spots in Gay Paree to fall in love. To see the places we love, check out our blog post over at Huffington Post. Next time you visit the City of Lights with your significant other, be sure to take in the romance and capture the memories. Our Vayable insider, Stephanie, offers a unique photography romance tour in Paris, where she’ll show you the most memorable spots in Paris and create memories that last a lifetime. 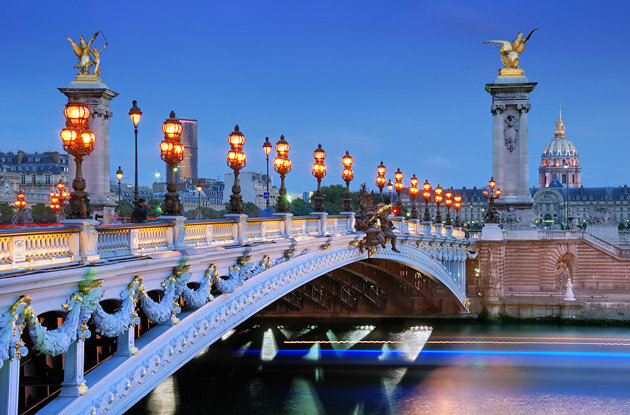 Or take a stroll under the city of lights with accomplished photographer Alexander Bradley on his Paris Night Photography Tour. What are some of your favorite places to fall in love in Paris?